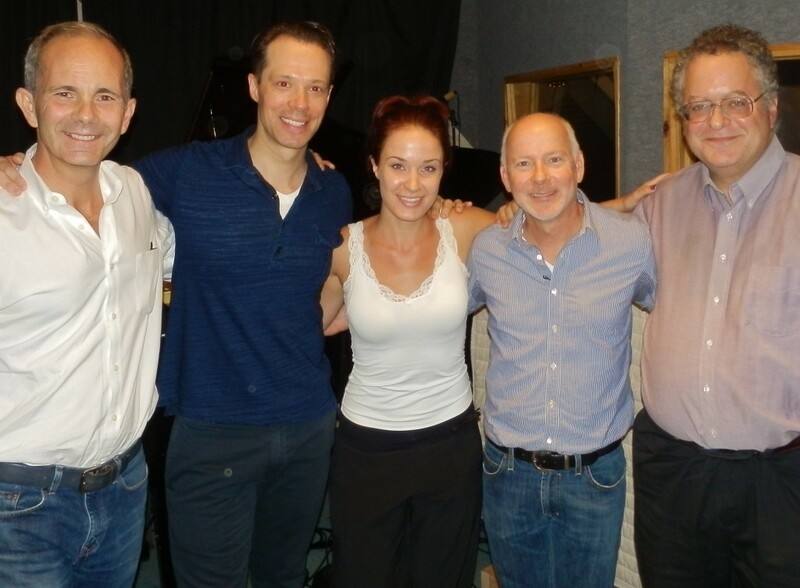 …In the recording studio with Jim Hindman (Book), Sierra Boggess, Ray Roderick (Lyrics) and Joe Baker (Music). Sept., 2013. This week I had the great pleasure to be asked to record a duet with Sierra Boggess. …My friend Jim Hindman (who I worked with on Broadway in Mary Poppins) called me – out of the blue – and asked if I would be available to sing on a demo of a new musical project he’s working on with Composer Joe Baker and Lyricist Ray Roderick. Jim said “It’s a duet, and you’ll be singing with Sierra Boggess.” “Oh well,” I said, “somebody’s gotta do it. I guess I could fit it into my schedule!” …Let me tell you, folks: not only is that a truly gorgeous voice, but Sierra was a sweetheart and, I discovered, a Jim Carrey nut, to boot. In other words – it was a fun afternoon. …I wish I could reveal more about the project itself – and share the recording with you – but until the whole package is completed it has to be kept under wraps: Such is the nature of the musical-creating business. What I can tell you is that the concept is very intriguing, and the work is really beautiful. I am thrilled to be involved and I wish the team all the best with the project! I’ll keep you informed as it develops!